Full Front Hood Set for Single Line System comes complete with full front hood, breathing tube, belt and quick connector. 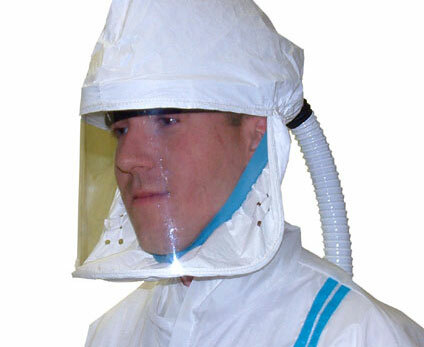 Designed to support two supplied air respirators at the same time. 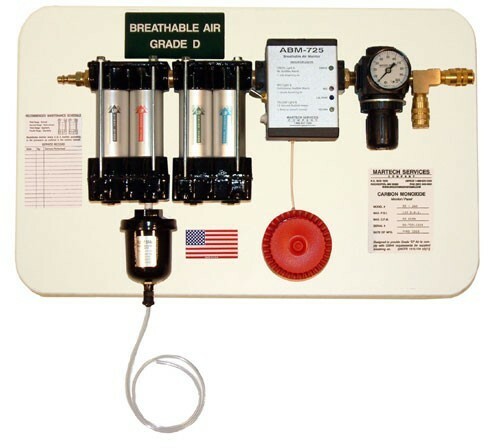 This affordable system is outfitted with a solid-state monitor and four-stage filtration. Built in warning lamps and audible horn to alert users if hazardous gases exceed the preset OSHA levels. This complete system is panel mounted. 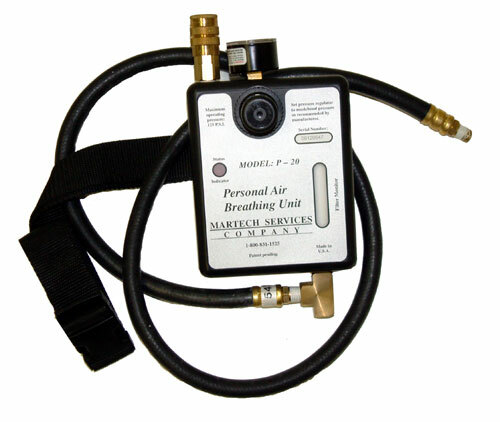 Our in-line SPG103 Pneumatic/Dryer’s are a great supplement to cleaning your air just before the end use. This dryer removes unwanted moisture, oil, dirt, chips, scraps, rust particles and other contaminants. Only 5 inches in length, this unit is installed within 6 feet of the end use to protect your tools. 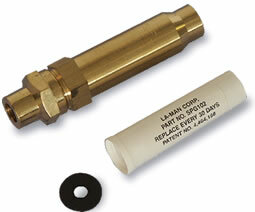 The La-Man Pneumatic/Dryer provides a permanent brass housing as opposed to disposables. Replacement elements are available.